Ofcom has approved a request by the operators of the local TV service for Cambridge to reduce local programme commitments in what was described as a "finely balanced" decision. 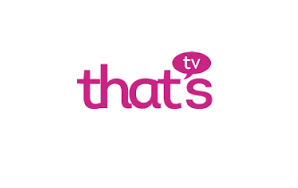 It follows the takeover of Cambridge TV last year to become part of the That's TV Network, which saw the channel relaunching as "That's Cambridge" in December. Originally required to screen 11 hours and 45 minutes of first run local programming on weekdays, the new relaxed requirements specify 7 hours of local first run programming over a 7 day period. Specific requirements dictating lengths and number of news bulletins have also been dropped in favour of a more relaxed requirement to provide 7 hours of news each week, of which 3 hours will be broadcast in peak-times. The new requirements provide more flexibility to That's Cambridge to show more networked and syndicated programming with other That's TV services in the UK. At the beginning of the year, the channel started simulcasting a strand of vintage film programming from Talking Pictures. In approving the request, Ofcom confirmed it felt the changes wouldn't change the overall characteristic of the service, noting that although first run local programming would decrease, the number of repeats of these programmes would increase during the second year of the channel's broadcasting licence period. However, the broadcast regulator stated the decision was "finely balanced", with a warning that they would be concerned if further requests for programming commitments were to be made. During the last two years, most local TV channel operators have requested relaxations of their original local programme commitments from Ofcom. That's Cambridge broadcasts on Freeview and YouView channel 7 and Virgin Media channel 159 in the Cambridge area.